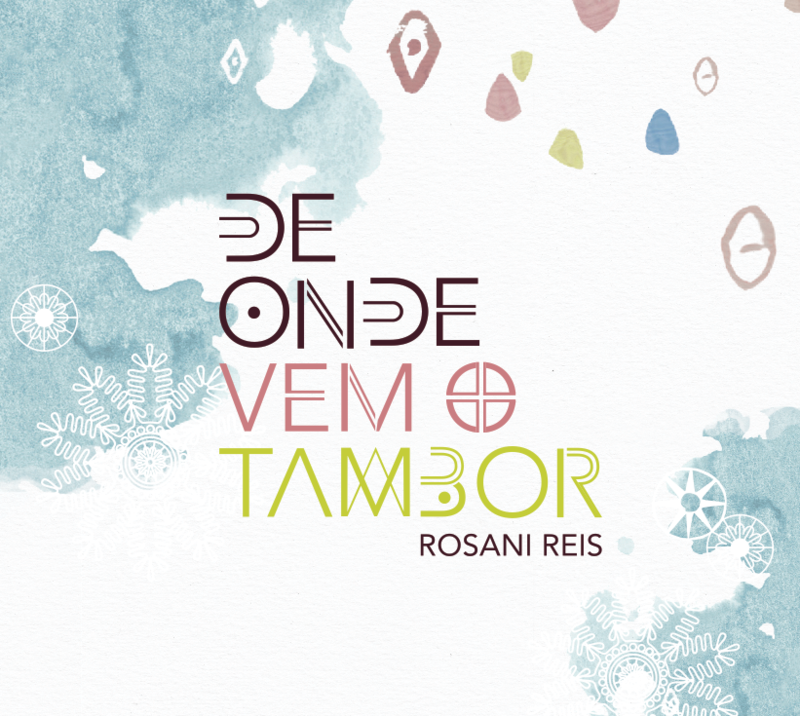 On August 18, 2015 Rosani Reis released her third solo CD „De onde vem o tambor“ with a presentation concert at the Alterosa theater in her Brazilian hometown Belo Horizonte in the state of Minas Gerais. 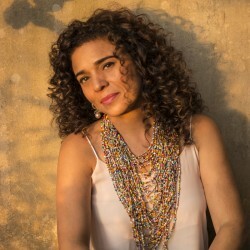 Her band included the musicians Trigo Santana (double bass), Rafael Martini (piano/accordion), Mauro Rodrigues (flutes), Serginho Silva, Luana Dias, Maurílio Badá (percussion), Felipe José (acoustic guitar) and as guests Mauricio Tizumba (vocals) and Sérgio Pererê (vocals) who is also the composer of some CD titles. At the concert Rosani Reis not only played the titles of the new production. Titles that had a special significance for her in her 30-year career were also played. 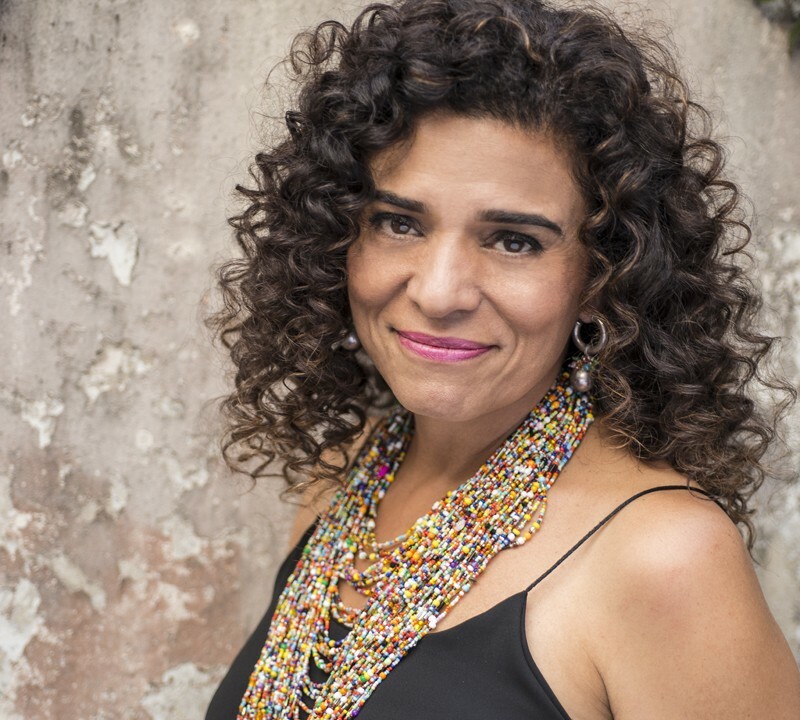 The singer, who has been living in Germany for 24 years, has always played music from her native state Minas Gerais in Europe. But now it was the right moment to present her new repertoire to the Brazilian audience. 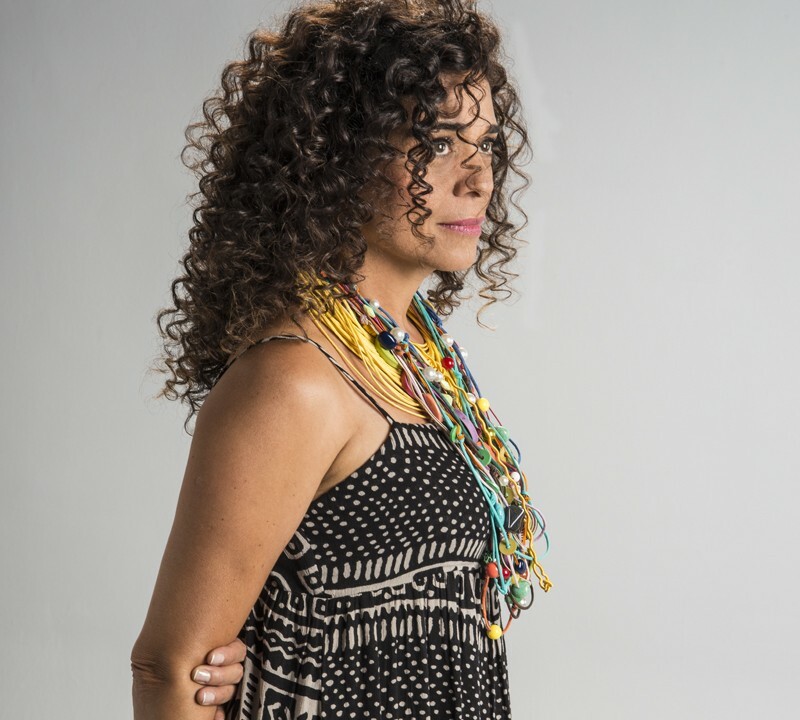 Rosani Reis: „The need to be in contact with my musical roots has been growing in recent times. In 1999 I played for the last time at the „Festival de Inverno“ in Ouro Preto with Nico Assumpção, José Namen, Beto Lopes and Mingo Araújo“. 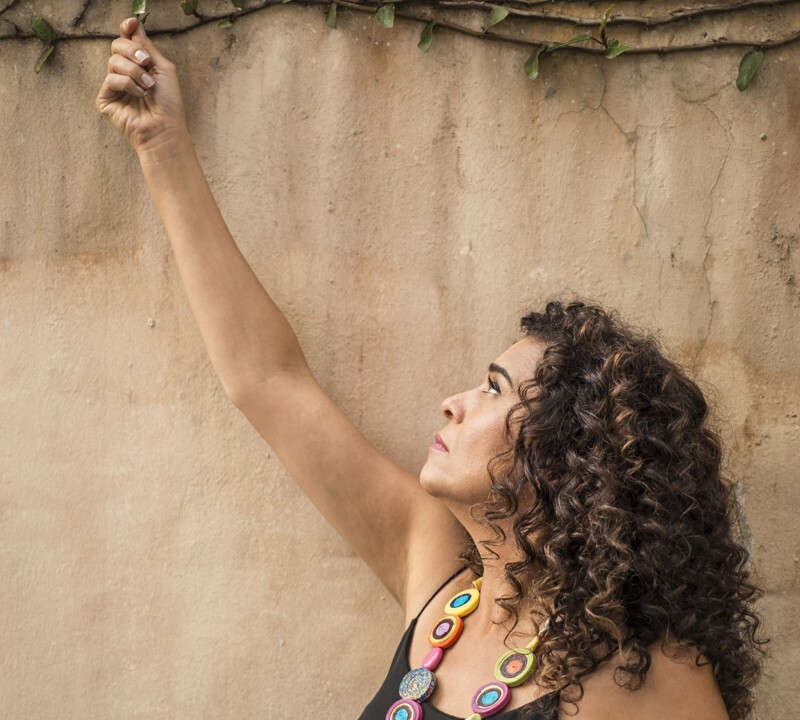 For the new production „De onde vem o tambor“ the singer has selected only songs by composers from her home region Minas Gerais. There are well-known names from the Música Popular and some names from the new generation. 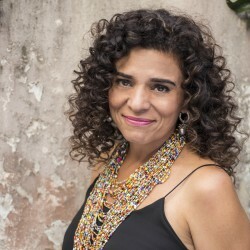 In addition to Sérigio Santos, who wrote the theme song and also took over the musical direction of the production, Rosani Reis performs works by Tavinho Moura, Toninho Horta, Milton Nascimento, Flávio Henrique, Beto Lopes and Sérgio Pererê. 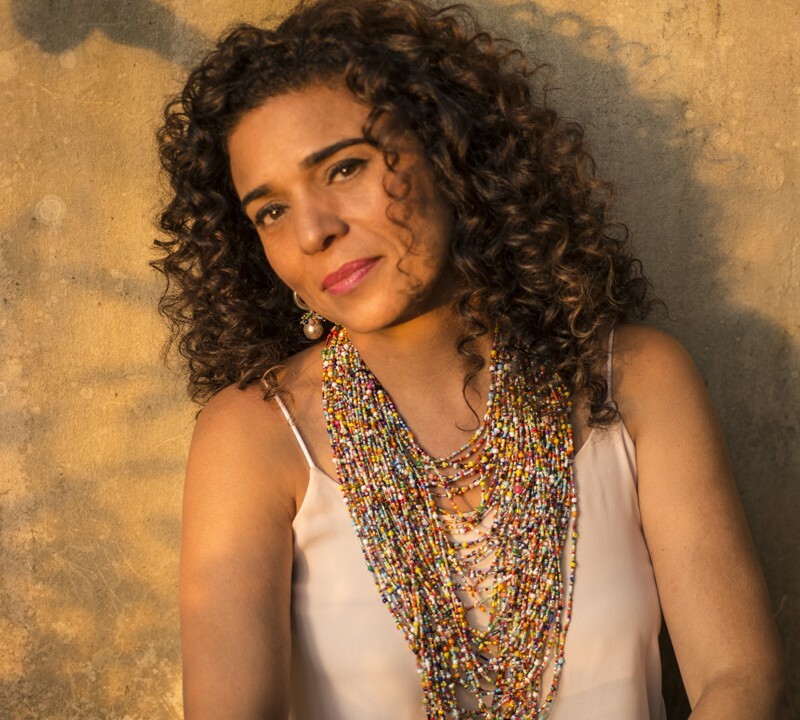 The CD reflects the influences of African culture on the music from Minas Gerais. 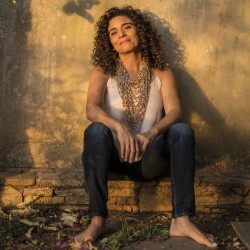 The themes of the lyrics report on persons and sounds of the „Afro-Mineiridade“. 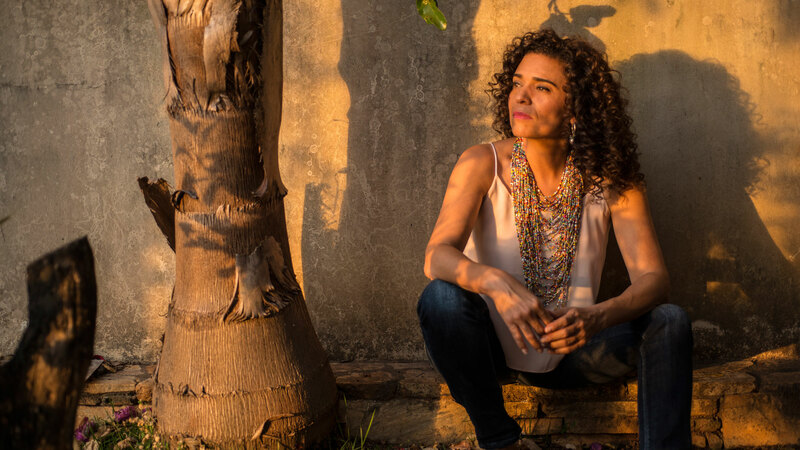 Like on the CD, the drums from Minas Gerais are striking, but are cleverly integrated into the arrangements, so that a dialogue between the rhythms of Congado, Jongo and Mozambique with the harmonies and melodies from Minas Gerais arises. Rosani Reis comes from the state of Minas Gerais in southeastern Brazil. 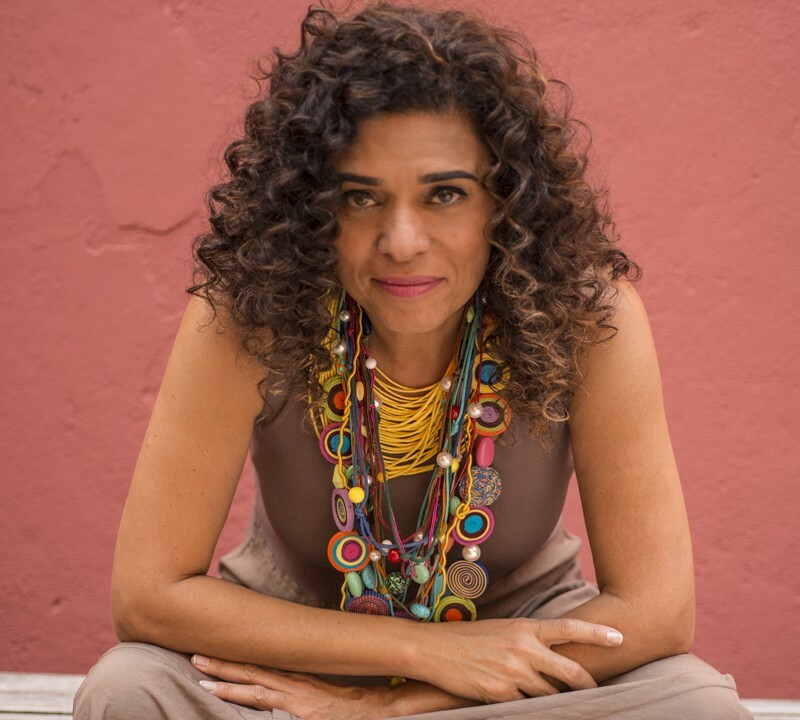 Her homeland is shaped by the mountainous country and the regional culture lived there, the old traditional festivals and customs and the music, which has Afro-Brazilian roots. Rosani began to learn the piano at the age of seven. 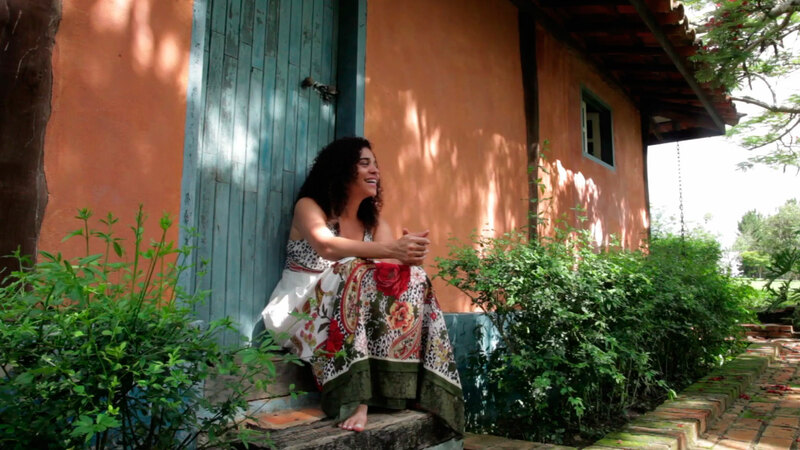 Later she studied classical singing at the Conservatory of the State University of Minas Gerais in Belo Horizonte. 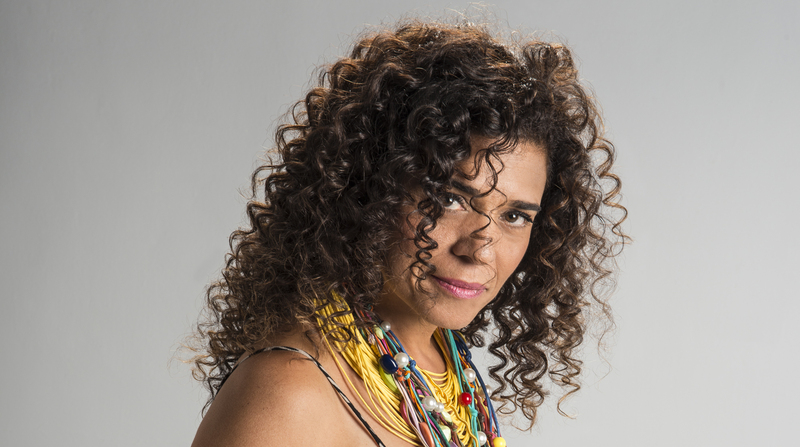 In 1984 she began her career as a singer and won numerous awards as the best performer of the Música Popular Brasileira (MPB). 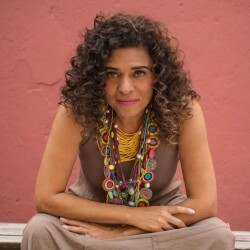 Between 1987 and 1990 she sang in the group „Sagrado Coração da Terra“ of the musician and composer Marcus Vianna. 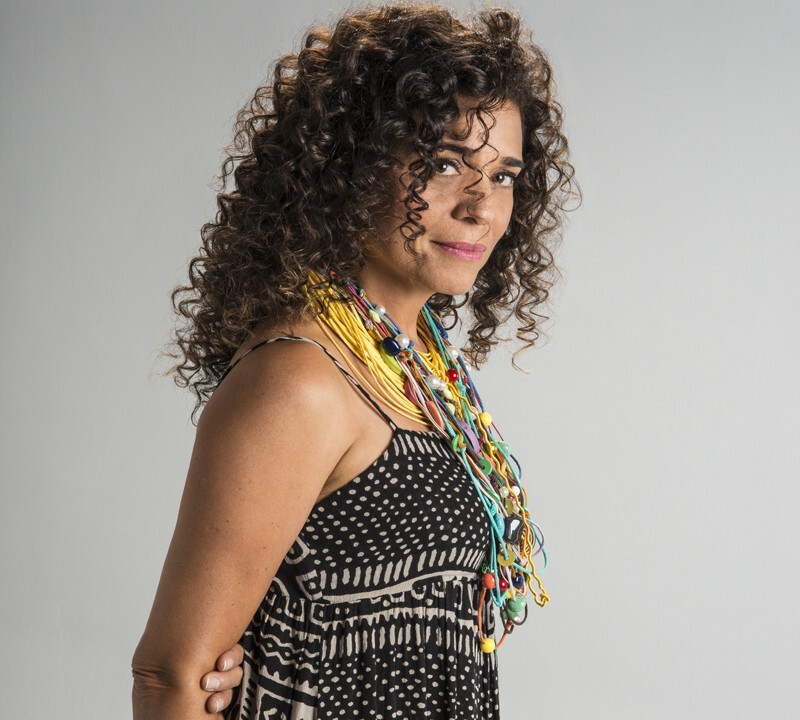 After graduating in psychology, Rosani studied theatre at the University of Minas Gerais. In 1990 she received a scholarship from the Goethe-Institut for a stay in Germany. In Germany Rosani then studied jazz singing at the Folkwang University of the Arts and graduated with a diploma. Rosani Reis has been teaching „Functional Voice Training“ at the Folkwang University of the Arts since 2003 after completing her training as a „Functional Voice Trainer“ at the Lichtenberg Institute. 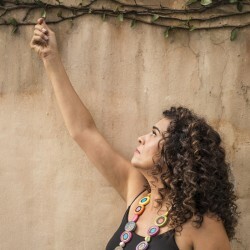 Rosani Reis has participated in many recordings and concerts with the English singer Norma Winstone, the American vibraphonist David Friedmann, the German trumpeter Uli Beckerhoff, the Italian pianist Glauco Vernier, the Australian guitarist Peter O’Mara and the Moroccan percussionist Rani Krija. 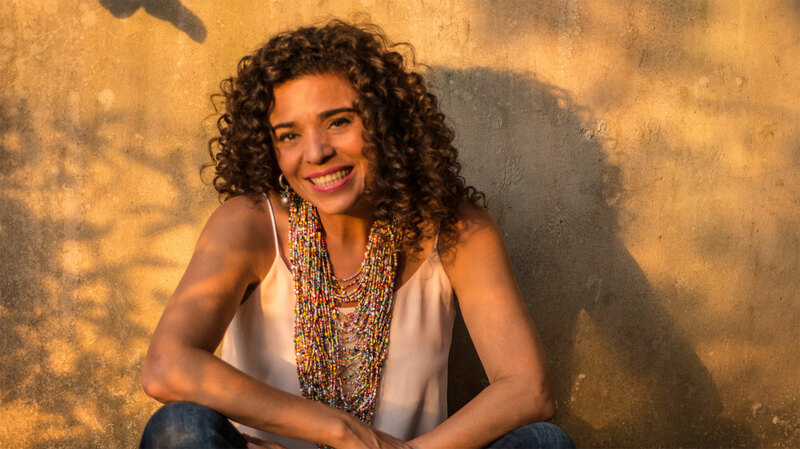 She has also worked with internationally renowned Brazilian musicians such as Nico Assumpção, Mingo Araújo, Alberto Continentino, Mu Chebabi, Toninho Horta and the group UAKTI and others. In addition to appearing as a guest on various recordings by other musicians, Rosani has released three solo CDs: „Cafuso“, „Mosaico“ and „De onde vem o tambor“. We are very delighted that you have shown interest in our enterprise. Data protection is of a particularly high priority for the management of the Rosani Reis. The use of the Internet pages of the Rosani Reis is possible without any indication of personal data; however, if a data subject wants to use special enterprise services via our website, processing of personal data could become necessary. If the processing of personal data is necessary and there is no statutory basis for such processing, we generally obtain consent from the data subject. The processing of personal data, such as the name, address, e-mail address, or telephone number of a data subject shall always be in line with the General Data Protection Regulation (GDPR), and in accordance with the country-specific data protection regulations applicable to the Rosani Reis. By means of this data protection declaration, our enterprise would like to inform the general public of the nature, scope, and purpose of the personal data we collect, use and process. Furthermore, data subjects are informed, by means of this data protection declaration, of the rights to which they are entitled. As the controller, the Rosani Reis has implemented numerous technical and organizational measures to ensure the most complete protection of personal data processed through this website. However, Internet-based data transmissions may in principle have security gaps, so absolute protection may not be guaranteed. For this reason, every data subject is free to transfer personal data to us via alternative means, e.g. by telephone. The data protection declaration of the Rosani Reis is based on the terms used by the European legislator for the adoption of the General Data Protection Regulation (GDPR). Our data protection declaration should be legible and understandable for the general public, as well as our customers and business partners. To ensure this, we would like to first explain the terminology used. The website of the Rosani Reis collects a series of general data and information when a data subject or automated system calls up the website. This general data and information are stored in the server log files. Collected may be (1) the browser types and versions used, (2) the operating system used by the accessing system, (3) the website from which an accessing system reaches our website (so-called referrers), (4) the sub-websites, (5) the date and time of access to the Internet site, (6) an Internet protocol address (IP address), (7) the Internet service provider of the accessing system, and (8) any other similar data and information that may be used in the event of attacks on our information technology systems. When using these general data and information, the Rosani Reis does not draw any conclusions about the data subject. Rather, this information is needed to (1) deliver the content of our website correctly, (2) optimize the content of our website as well as its advertisement, (3) ensure the long-term viability of our information technology systems and website technology, and (4) provide law enforcement authorities with the information necessary for criminal prosecution in case of a cyber-attack. Therefore, the Rosani Reis analyzes anonymously collected data and information statistically, with the aim of increasing the data protection and data security of our enterprise, and to ensure an optimal level of protection for the personal data we process. The anonymous data of the server log files are stored separately from all personal data provided by a data subject. The website of the Rosani Reis contains information that enables a quick electronic contact to our enterprise, as well as direct communication with us, which also includes a general address of the so-called electronic mail (e-mail address). If a data subject contacts the controller by e-mail or via a contact form, the personal data transmitted by the data subject are automatically stored. Such personal data transmitted on a voluntary basis by a data subject to the data controller are stored for the purpose of processing or contacting the data subject. There is no transfer of this personal data to third parties. If one of the aforementioned reasons applies, and a data subject wishes to request the erasure of personal data stored by the Rosani Reis, he or she may, at any time, contact any employee of the controller. An employee of Rosani Reis shall promptly ensure that the erasure request is complied with immediately. Where the controller has made personal data public and is obliged pursuant to Article 17(1) to erase the personal data, the controller, taking account of available technology and the cost of implementation, shall take reasonable steps, including technical measures, to inform other controllers processing the personal data that the data subject has requested erasure by such controllers of any links to, or copy or replication of, those personal data, as far as processing is not required. An employees of the Rosani Reis will arrange the necessary measures in individual cases. If one of the aforementioned conditions is met, and a data subject wishes to request the restriction of the processing of personal data stored by the Rosani Reis, he or she may at any time contact any employee of the controller. The employee of the Rosani Reis will arrange the restriction of the processing. In order to assert the right to data portability, the data subject may at any time contact any employee of the Rosani Reis. The Rosani Reis shall no longer process the personal data in the event of the objection, unless we can demonstrate compelling legitimate grounds for the processing which override the interests, rights and freedoms of the data subject, or for the establishment, exercise or defence of legal claims. If the Rosani Reis processes personal data for direct marketing purposes, the data subject shall have the right to object at any time to processing of personal data concerning him or her for such marketing. This applies to profiling to the extent that it is related to such direct marketing. If the data subject objects to the Rosani Reis to the processing for direct marketing purposes, the Rosani Reis will no longer process the personal data for these purposes. In addition, the data subject has the right, on grounds relating to his or her particular situation, to object to processing of personal data concerning him or her by the Rosani Reis for scientific or historical research purposes, or for statistical purposes pursuant to Article 89(1) of the GDPR, unless the processing is necessary for the performance of a task carried out for reasons of public interest. In order to exercise the right to object, the data subject may contact any employee of the Rosani Reis. In addition, the data subject is free in the context of the use of information society services, and notwithstanding Directive 2002/58/EC, to use his or her right to object by automated means using technical specifications. If the decision (1) is necessary for entering into, or the performance of, a contract between the data subject and a data controller, or (2) it is based on the data subject's explicit consent, the Rosani Reis shall implement suitable measures to safeguard the data subject's rights and freedoms and legitimate interests, at least the right to obtain human intervention on the part of the controller, to express his or her point of view and contest the decision. If the data subject wishes to exercise the rights concerning automated individual decision-making, he or she may, at any time, contact any employee of the Rosani Reis. If the data subject wishes to exercise the right to withdraw the consent, he or she may, at any time, contact any employee of the Rosani Reis. © Rosani Reis 2016 - All rights reserved.